The tweets Saturday night suggested the FBI was to blame for the high school shooting in Parkland, Florida on Wednesday because the bureau was investigating Russia’s interference in the 2016 election. On Sunday morning, Trump accused former President Barack Obama of sending “$US1.7 Billion Dollars in CASH to Iran”, insisted “Liddle” Sen. Adam Schiff was investigating whether the Trump campaign colluded with Russia because Democrats lost the 2016 presidential election, and said the Russians “succeeded beyond their wildest dreams” to sow discord in the US. Next, Trump thanked Schiff, whom he also called “the leakin’ monster of no control”, for “blaming the Obama Administration for Russian meddling in the 2016 Election.” He then suggested Schiff, who is the ranking Democrat on the House Intelligence Committee, was investigating Russian collusion because Democratic presidential nominee Hillary Clinton lost to Trump. 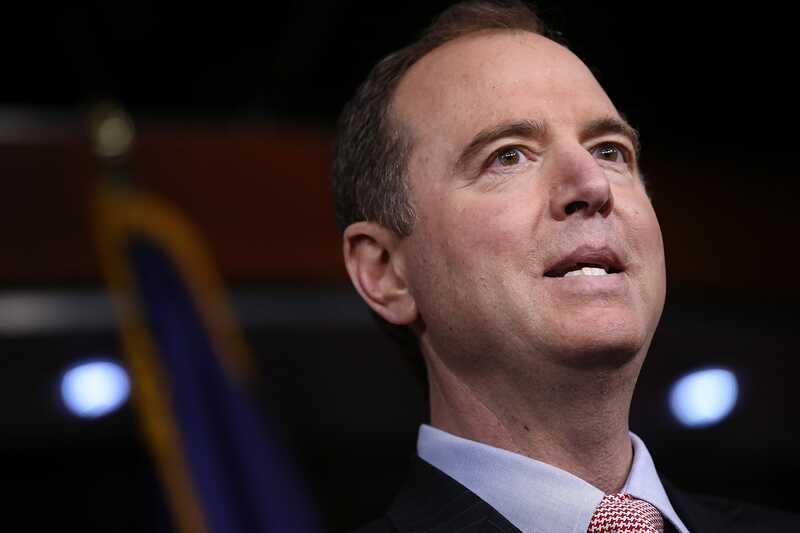 On Friday, Schiff said Obama should have been a “more forceful deterrent” in preventing the Kremlin’s efforts to influence the presidential election. Win McNamee/Getty ImagesRep. Adam Schiff of California. Then Trump said “if” it was the Kremlin’s goal to generate chaos in the US, they succeeded. The top US intelligence agencies have concluded that was Russia’s goal, and that the Kremlin interfered with the election – by hacking, weaponizing social media, and waging a disinformation campaign – to support Trump’s victory. Experts say the indictment also dealt a significant blow to Trump’s claims that the investigation is illegitimate. Trump tried to recast how he has characterised the investigation in the past. Finally, in his 15th tweet in 18 hours, Trump took aim at one of his favourite targets, calling out “The Fake News of big ratings loser CNN”, with a cartoon of a depiction of CNN anchor Wolf Blitzer.